WE MUST BE THEIR VOICE BEFORE IT IS TOO LATE! MONKS HAVE BEEN GIVEN THREATS THAT THEY WILL BE KILLED AS THIS VIOLENCE HAS NOT STOPPED EVEN NOW ACCORDING TO DIRECT REPORTS FROM BODU BALA SENA! AN URGENT CRY FOR HELP HAS BEEN RECEIVED FROM THE MONKS OF BODU BALA SENA. 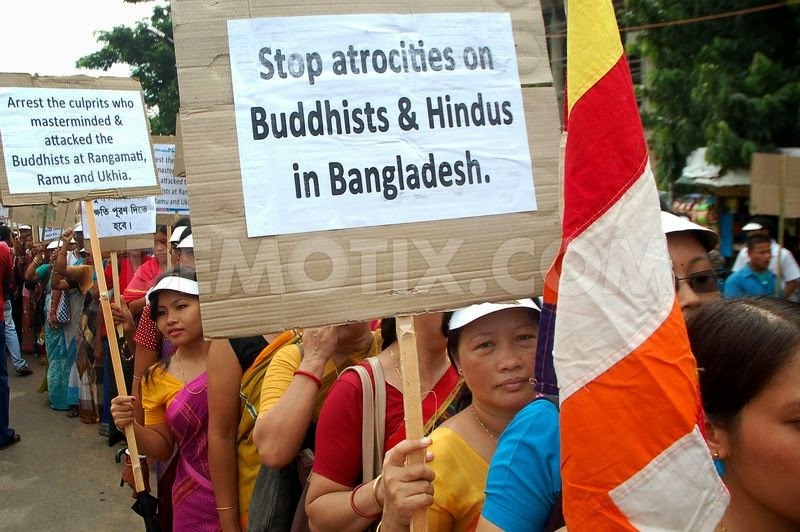 IT HAS BEEN REPORTED THAT BUDDHIST MONKS , THAT MANY ARE TRAPPED IN BANGLADESH WITH THE THREAT OF BEING KILLED BY MUSLIMS RISING EVERY DAY. THE MONKS ARE ATTEMPTING TO UNITE WITH THEIR LEADERS FOR A POSSIBLE SOLUTION AS THESE MONKS ARE NOT ABLE TO COMMUNICATE WITH THE OUTSIDE WORLD WITHOUT SERIOUS RISK. I WILL RECEIVE REPORTS FROM A MONK FROM THIS SENA REGULARLY. IT MUST BE SHOWN WITHOUT A SHADOW OF A DOUBT THAT THESE MONKS ARE IN SERIOUS THREAT OF THEIR LIVES. THEY ARE ISOLATED ON CHITTAGONG MOUNTAIN IN BANGLADESH WITH NO CHANCE FOR THEM TO RETURN TO THEIR HOMES. 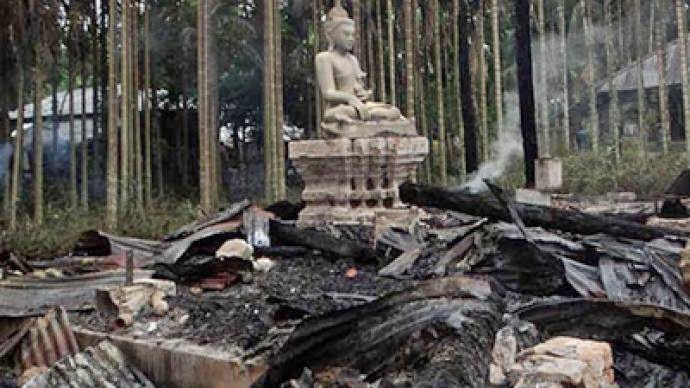 THEY HAVE ENDURED BEING KILLED WHILE PRAYING IN THEIR SHRINES, THEIR STATUES OF BUDDHA ARE BEING COMPLETELY DESTROYED. THIS NEWS COMES TO IUFE AT GREAT RISK TO THE MONK REPORTING IT! ALL ACTIVISTS ARE ASKED TO REPORT THIS AND SHARE IN ORDER TO MAINTAIN THE SAFETY OF BUDDHIST MONKS UNDER CURRENT THREAT! IUFE DEMANDS THAT THESE MONKS RECEIVE FULL PROTECTION FROM BEING THE VICTIMS OF ETHNIC CLEANSING ! THESE ISSUES WILL BE SHARED WITH HUMAN RIGHTS ORGANIZATIONS AND CIVIL LIBERTIES ALLIANCES TO ENSURE THEIR PROTECTION.